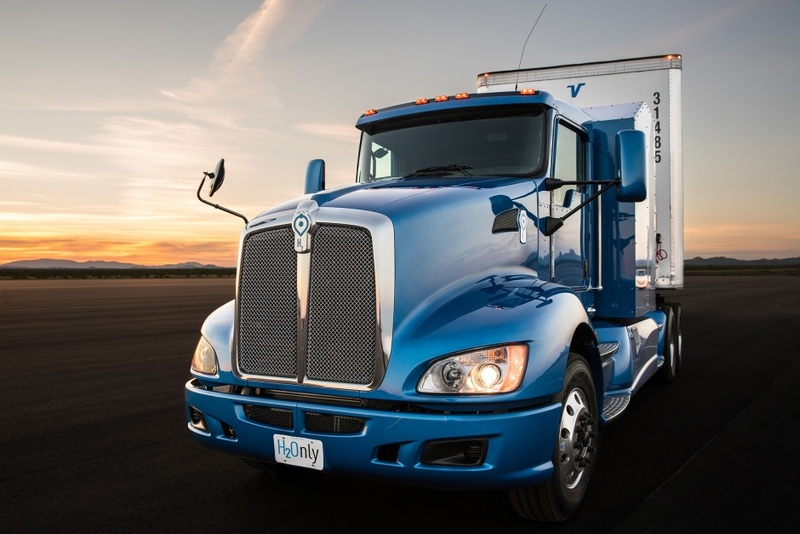 Engineers at Toyota in the US have unveiled a hydrogen fuel cell powered heavy-duty truck that they claim could pave the way for a new generation of zero-emissions heavy good vehicles. Dubbed “Project Portal”, the proof of concept vehicle – claimed to be the first of its kind – is set to undergo trials at the Port of Los Angeles later this year where it will be used primarily for so called “drayage” operations: transporting freight short distances from ships to warehouse facilities. Drayage is one of the highest sources of emissions at the port – which is one of the world’s busiest – where diesel-powered trucks currently move around 19,000 cargo containers in and out of the port each day. According to Toyota the truck will generate more than 670 horsepower and 1325 pound feet of torque from two fuel cell stacks — of the same type that powers the company’s Mirai fuel-cell car — and a 12kWh battery. The concept’s gross combined weight capacity is 80,000 lbs (just over 36 tonnes), and its estimated driving range is more than 200 miles per fill, under normal drayage operation. The latest news from Toyota follows its announcement in late 2016 that it plans to produce a fleet of around 100 hydrogen-fuel cell buses to operate in Tokyo during the 2020 Olympics. In the meantime, a number of other manufacturers are also looking at zero-emissions truck concepts. Mercedes has been trialling its Urban E-truck for a number of months now and reportedly plans to begin full production by 2020. Meanwhile, Tesla boss Elon Musk – a vocal critic of what he terms hydrogen “fool cells” has announced plans to introduce an electric freight truck later this year.